Find out all the news you might have missed today. Listen to a new song from Alkaline Trio—plus, don’t miss the Amity Affliction‘s new video. Check out the news you might have missed today below! Alkaline Trio drop another new song off of Is This Thing Cursed? Everyone’s favorite trio is back, and ahead of their new album’s release, they’ve dropped a new song, “Demon And Division.” The track is taken from the band’s forthcoming album Is This Thing Cursed, out Aug. 31. You can pre-order your copy of it here. Additionally, you can check out the dates of Alkaline Trio’s West Coast tour below! You can pick up tickets here. To check out the full list of cities and dates below, and to purchase your tickets, you can go here! WSTR have shared their third single, “Silly Me,” taken off of their highly anticipated album Identity Crisis, out Aug. 31. You can preorder your copy of it here. The band will be hitting the road next week in order to support Neck Deep on their headlining tour. WSTR will also be joining PVMNTS on a co-headlining run later this year. Check out the dates for both tours here. Years & Years are hitting the road later this year for their Palo Santo tour, and today, they’ve announced that CYN will be joining them on the October run. To check out the full list of cities and dates, and to purchase your tickets, you can go here. 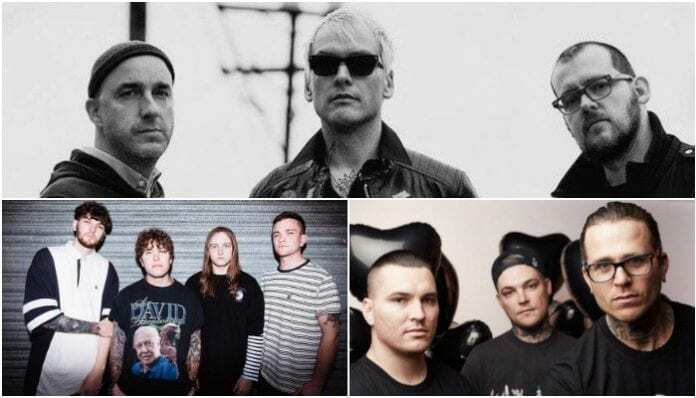 The Amity Affliction have unveiled the third, and final, part of their Misery video series. The video is for their track, “D.I.E.,” which is taken from the band’s latest album, Misery, out now. You can purchase your copy of it here. The band will be embarking on a headlining European tour later this year. Select dates of the tour will have support from Dream State, The Plot In You and Endless Heights. You can pick up your tickets here. Gold Route and Letdown will be hitting the road later this year for a co-headlining tour. For a full list of cities and dates, and to purchase your tickets, you can go here. Tennis System premiered a new video for their track “Coming Down.” The song is taken from the band’s latest album P A I N, out now. You can purchase your copy of it here. The band will also be going on tour with El Eleven Ten later this year. Check out the full list of cities and dates below, and you can grab your tickets here. Next articleIs Neck Deep’s Dani Washington working on a solo project?